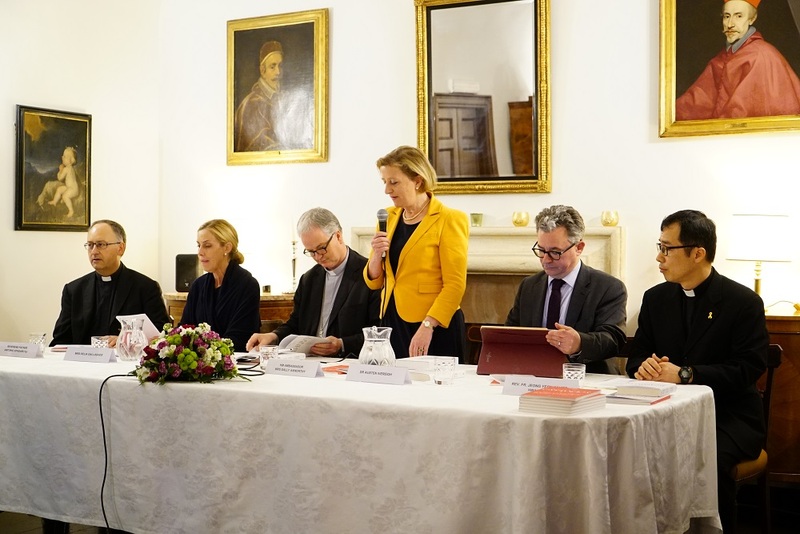 Speeches at the launch of the English edition of La Civiltà Cattolica (at Her Britannic Majesty’s Ambassador to the Holy See Residence February 28th, 2017) by His Excellency Bishop Paul Tighe, Secretary Adjunct Pontifical Council for Culture; Ms Delia Gallagher, CNN Vatican Correspondent; Dr Austen Ivereigh, Writer and Contributing Editor Crux; Fr. Jeong Yeon Xavier Hwang SJ, Pontifical Gregorian University; Fr. Antonio Spadaro SJ, Editor in Chief La Civiltà Cattolica. 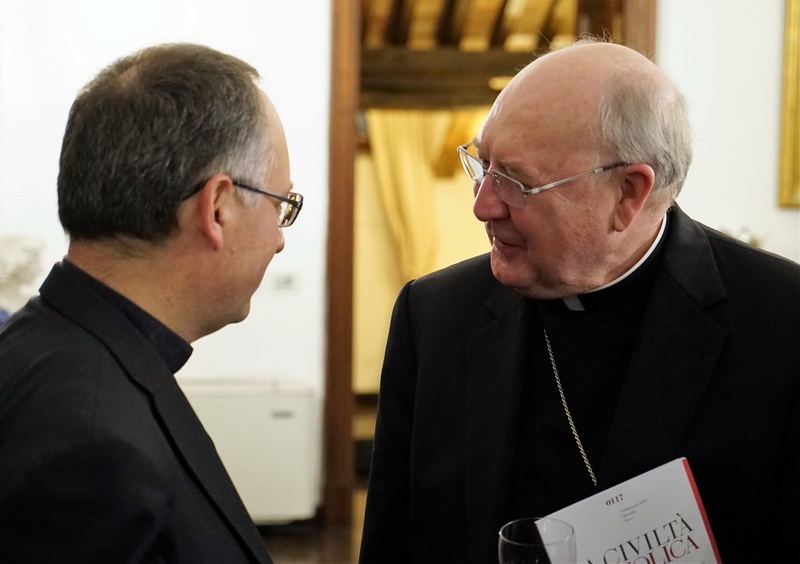 I am very pleased to be here this evening to celebrate the publication in English of La Civiltà Cattolica. My own appreciation of the importance and value of this periodical owes a great deal to a particular experience I had about 10 or 12 years ago. At that time, I spent most of my vacations in the area of Padua and I came to know an Italian couple who were extraordinarily hospitable and who invited me frequently to their home for wonderful meals, in the course of which our conversation often focussed on religion, Church and politics etc. 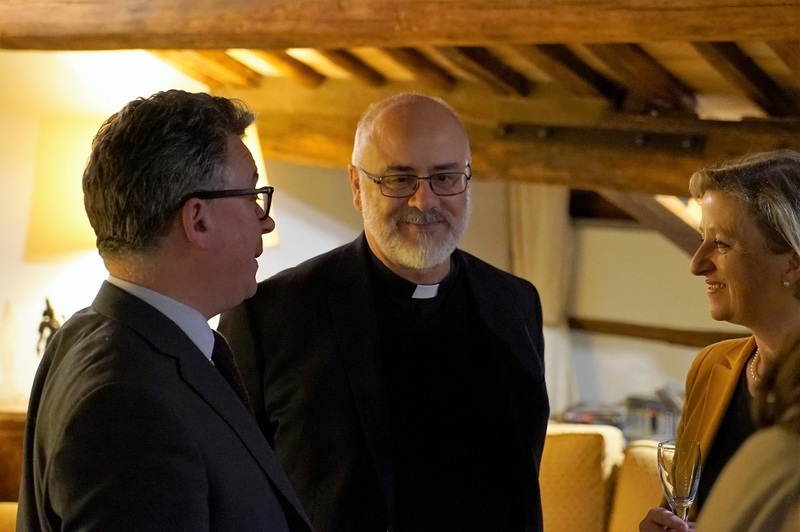 The thing that most impressed me was how well informed my hosts were about their faith and how perceptive were their insights into theology and spirituality. I was somewhat surprized because I was conscious that neither of them had had a formal education in theology and yet their general level of reflectiveness and their capacity to analyse current political, economic and social trends in the light of their beliefs indicated a sophisticated formation and a level of maturity in their intellectual appropriation of their faith that required explanation. That explanation was revealed when I learned that they were both assiduous readers of La Civiltà Cattolica. In a sense their subscription had served as a form of on-going adult education in matters of faith and life. Their enthusiasm for the magazine, and the obvious fruits of their engagement with it, lead me to a deeper appreciation of the cultural significance of this unique publication. 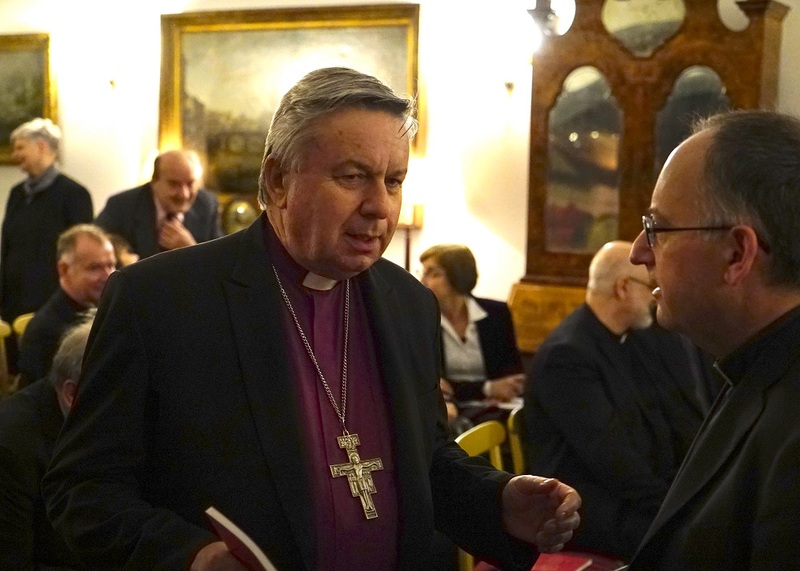 My next encounter with La Civiltà Cattolica was about 8 years ago when I was beginning my term as Secretary of the Pontifical Council for Social Communications. At that time, the Council, under the direction of Archbishop Celli, was beginning to champion the importance of the digital arena as an environment where the Church needed to develop an appropriate presence and was highlighting the need for individual believers and Church institutions to engage with social media in order to build relationships and to communicate with a wider public. It is fair to say that the efforts of the Council were not universally embraced and that in some areas there was resistance from those who were committed to more established media and traditional forms of communication. For that reason, it was with great relief that we began to note the appearance of articles in La Civiltà Cattolica which shared our sense of the significance of the emergence of digital culture and the awareness that it required a radical rethinking on the part of the Church of its strategies and means of communication. 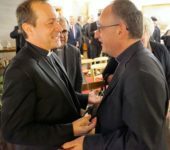 These articles appeared under the name of a Father Antonio Spadaro, who was not known to me and who I have to confess I imagined to be an aloof Jesuit of advanced years! It was a further relief to meet and get to know Antonio who is anything but aloof and is young both of years and of spirit. I would like to avail of this opportunity to recognise Antonio’s great contribution to the PCCS both as a consultor and, perhaps even more, as a friend. His generous support for the work of the Council and his encouragement to all those who are helping the Church to reflect on and respond to the opportunities offered, and the challenges posed, by the digital transformation of communications have contributed very positively to the renewal of the Church’s capacity to bring to all people the Good News of God’s love and mercy. In Ireland, we often say that if you want something done you should ask a busy person. Antonio has been the proof of this; notwithstanding his many speaking commitments and his demanding institutional responsibilities, he has never failed to respond quickly, positively and with great competence to requests for help and advice. Through Antonio, I have also come to know the community of writers that constitutes La Civiltà Cattolica. 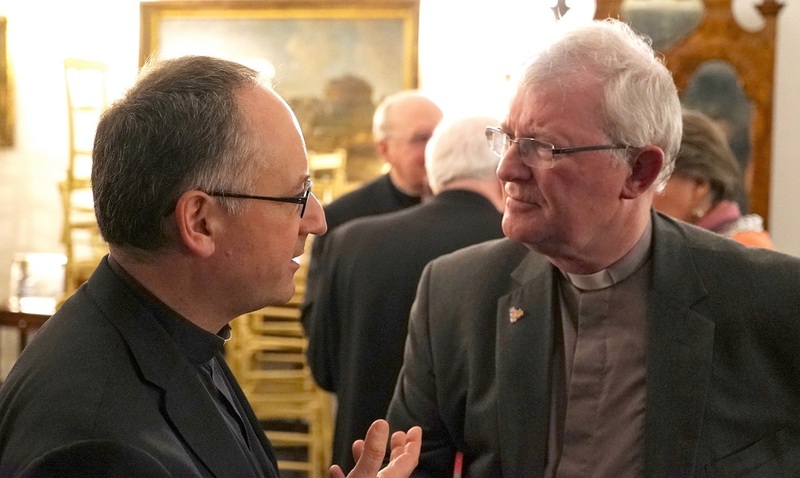 I have had the pleasure of joining them for liturgy at various times – I use the word pleasure deliberately as Jesuit liturgies are very much in tune with the Irish delight in simplicity and brevity in liturgical celebration – and of sharing meals with them. I have come to appreciate the magazine is not just a collection of articles by very talented writers but is the work of a community of writers who submit their work to for collective review and evaluation. This is a remarkable example of intellectual humility and is combined with simplicity of life-style that is conducive to reflection and bears fruit in the profundity of their work. 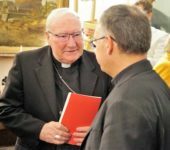 Archbishop Chaput has pointed out that visual and electronic media, today’s dominant media, need a certain kind of content. They thrive on brevity, speed, change, urgency, variety and feelings. But thinking requires the opposite. Thinking takes time. It needs silence and the methodical skills of logic. The almost monastic life of the writers of La Civiltà Cattolica fosters precisely the type of thinking and logical reasoning that is so urgently needed. 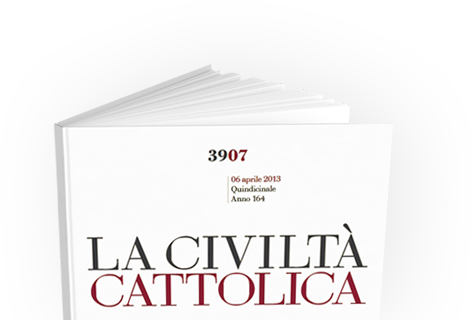 I am very pleased that La Civiltà Cattolica will now be available in English and that it will reach directly to new audiences. 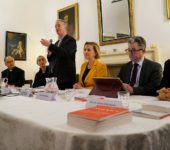 I am pleased not just because its great content will now be accessible but because the publication itself has much to offer by way of showing what Catholic press and media can aspire to in creating a public culture. 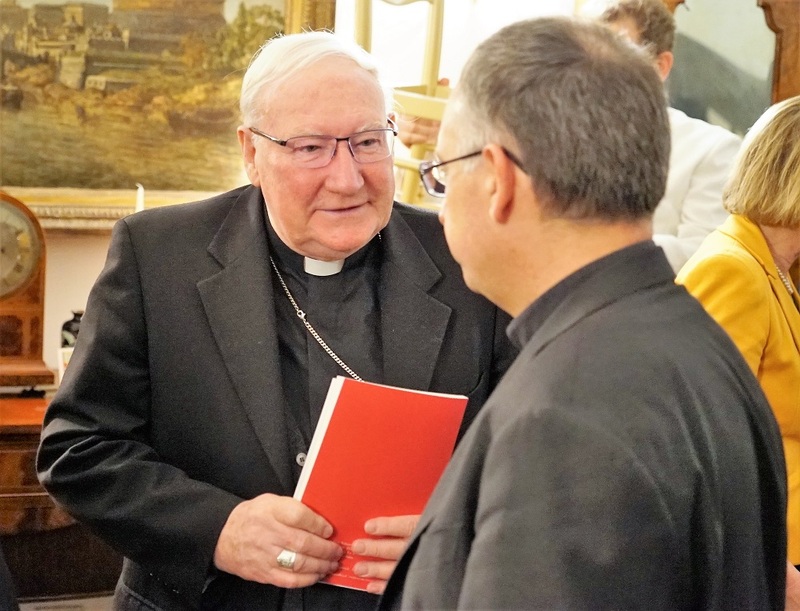 It remind us that an important aspect of the mission of Catholic media is that of supporting the Catholic community and, in particular, offering them news and analysis of a type they would not find easily in other media. It involves offering them a perspective on various events and happenings that is informed by the values and insights of our shared faith and that is born from an understanding of the Church as the community of believers brought into being by the desire of Christ – an understanding that is largely absent in other media where the Church is often presented in exclusively political or sociological terms. This does not mean turning a blind eye to problems, even within the life of the Church, but it does mean trying to locate them within a horizon of interpretation that is not hostile to faith or to the Church. The Church has many unloving critics; critics who seem at times keen to reveal the negative aspects of the Church in order to wound it. The Church is not well served either by those who might be described as uncritical lovers; people who, often out of a misplaced sense of loyalty, try to deny the existence of tensions and problems in a manner that ultimately may damage the credibility of the Church. The Church needs a media that is not afraid to expose mistakes and failures, tensions and disagreements, but whose motive is to challenge the community of believers to continue on the path of conversion and discernment so that the Church will be more fully what it is called by Christ to be – a community that witnesses credibly in word and deed to the love of God for all humanity. La Civiltà Cattolica also reminds us of the need for a true catholicity in terms of the content of Catholic media. 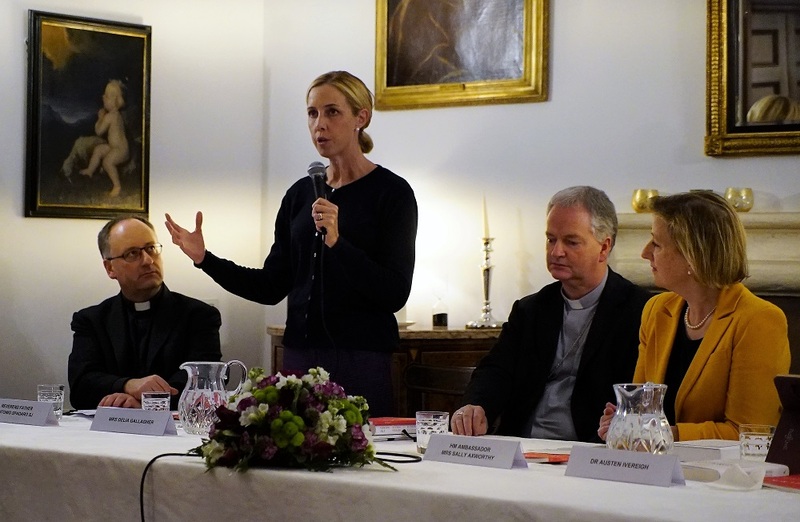 We need to encourage people to be attentive to wider cultural issues such as political, economic and social affairs and to address these issues with the light of faith and the insights of our tradition. Catholic media will seek to dialogue with contemporary artists, writers and filmmakers who are probing what it means to be human and how we can find meaning and purpose in our lives. This level of general interest in broader cultural and social questions translates into what at times seems to be the gloriously eclectic content of La Civiltà Cattolica – the first English language volume brings us from Shakespeare to Scorsese, from Brazil to Japan and from practical concern about migrants to a more abstract, but no less urgent, consideration of dialogue. Sacks’ remarks which were published in 1991 are even more timely today when we are confronted with increasingly polarized and confrontational forms of politics where there is little room for the voices of moderation or consensus. I am worried that a similar phenomenon has emerged in the world of Catholic media, especially in the blogosphere, where often it seems not enough for protagonists to propose their own views and beliefs, nor even to expose the weaknesses of the arguments of those who disagree with them, but where they tend also to attack the sincerity and personal integrity of those who hold other views. 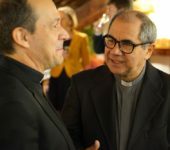 It is natural that debates about faith and morals should be full of conviction and passion but there is a growing risk that some forms of expression are damaging the unity of the Church and, moreover, are unlikely to draw the curious and the seekers to a desire to learn about the Church and its message. I think a magazine that has had 167 years of experience – that has lived through two world wars, Vatican Councils I and II, the emergence of the European Union as a force for peace and stability, the unification of Italy and various political and social upheavals – has the institutional experience and perspective to champion moderation and equanimity in expression, and the right and the obligation to invite us to grow together in unity as we search to discern God’s will. My first experience of La Civiltà Cattolica came some 16 years ago when I was starting out as a vaticanista in a little office of the magazine Inside the Vatican, up on the via delle Mura Aureliane, behind the Urbanianum University. It was before the Internet, we had email I remember – but you had to type on these big clunky computers – although the Vatican didn’t and we still communicated by phone and hand-written notes. Into this small, dark office every two weeks or so, a small brown envelope would arrive in the post: La Civiltà Cattolica. I cannot tell you with what pleasure I used to open that envelope. Inside, was a selection of advance copies of articles that would be published in the upcoming edition. Articles on philosophy, art, mysticism, doctrine, films. You never knew what you would get and each article opened up a world. It represented to me at the time, a way of entering into the vast contemporary intellectual world of Catholicism; of things being discussed and happening at the Vatican and in the Catholic Church. I think that still characterises the journal today. Today, however, in the pontificate of Pope Francis, I would say that La Civiltà Cattolica plays another significant role – one that has always belonged to it, but is highlighted in this still relatively new pontificate in which Francis’ ideas, approach and language is something that many Catholics are unfamiliar with and still trying to grapple with – that is, elucidating some of the main themes of this pontificate through the key of Francis’ thinking. As a journalist responsible for relaying the thought of Pope Francis in an accurate way to the larger world, I find this very valuable. In the previous issue #3999, an article on women and the diaconate, which is very topical as this is currently under discussion. One can agree or disagree with the positions taken, but the fact that La Civiltà Cattolica provides historical, theological and philosophical references to some of the things which Pope Francis says is a great resource. As a journalist, we may not need to use any of this information in our reports – we are often constrained by soundbites and a relentless 24/7 news cycle, but it is vital in order to report accurately, that we understand the full scope of what Pope Francis may say only in a soundbite. This requires a great deal of in-depth knowledge of the history and theology of the Catholic Church – something which La Civiltà Cattolica helps to provide. 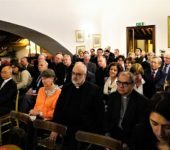 Speaking of the new vocabulary and ideas of Pope Francis – which I won’t say are revolutionary, because I think they have always been in the Catholic Church, but which emphasize paradox, let us say and so can sound strange to modern ears – I found his talk to La Civiltà Cattolica’ when he received you in audience in February quite remarkable. 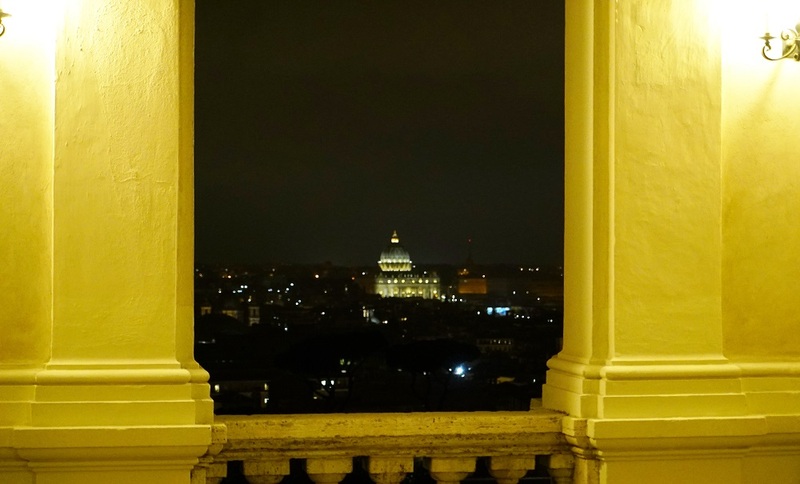 Restlessness: the Pope says, “Have your hearts conserved the restlessness of research? Only restlessness brings peace to the heart of a Jesuit.” Restlessness is not normally a word we associate with peace. Peace is supposed to bring calm, but here the Pope says being restless is good. Incompleteness: “You should be writers and journalists of incomplete thought, that is, open and not closed and rigid.” Again, most writers would say they aim to close the circle of their arguments, but the Pope suggests it is better to leave them open. So the Pope uses language of accompanying people, of lives of different gradations of colour, of restlessness and openness. These are all concepts which need to be un-packed and La Civiltà Cattolica helps us to do that. Since I am a journalist, I would like to close with a question. 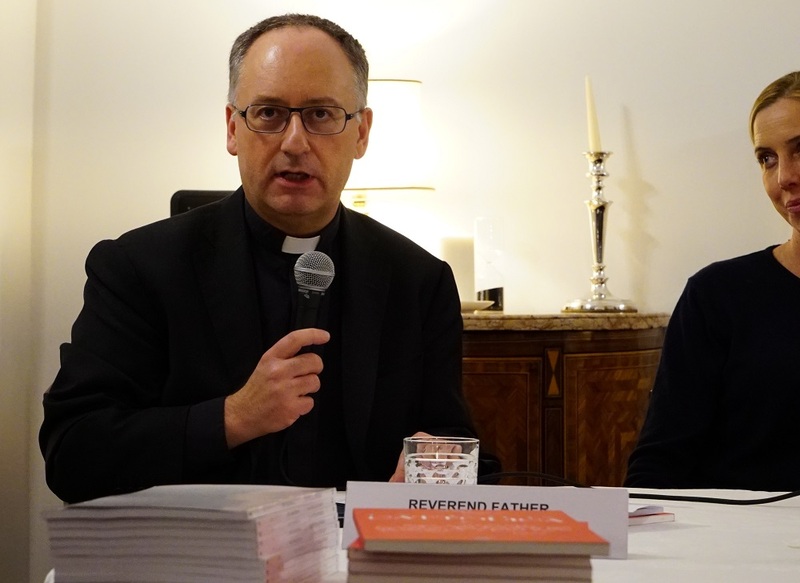 It might be a bit mischievous of me but I am sure Father Spadaro will take it in the spirit in which it is meant: one of the noticeable things about the journal is that all of the articles are written by men. Of course it is a Jesuit journal and I appreciate the venerable tradition of the Jesuit College of Writers responsible for the articles. 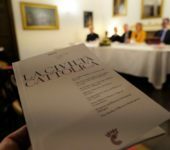 Yet in this new openness to other languages, and particularly during a pontificate in which the Pope has spoken many times about the importance of women’s voices at the Vatican and in the Catholic Church: might there be a time when La Civiltà Cattolica will also publish articles by women? I first came across La Civiltà Cattolica in the year 2000, when starting at The Tablet. There was a story I was asked to write about an article that had appeared in the latest edition. Why are we reporting on what some boring Italian journal says? I asked, and received the answer: because it is a Jesuit journal that sometimes disagrees with the pope but is approved by the Vatican. This was an early lesson in the complexities of Catholic life and church journalism, and of course got me very interested in Civiltà Cattolica. The journal doesn’t disagree with the pope, of course, but as Pope Francis said in his speech, it is open to the world, with a specific mission to engage the world. As a tool of research and investigation into contemporary society, it set out to grasp its dynamics and undercurrents. Again, as Francis says, being a Catholic magazine doesn’t mean that it exists simply to promote Catholic ideas, as if it were a philosophy journal. In fact the three words that the pope recently proposed to the Jesuits of La Civiltà Cattolica — restlessness, incompleteness, and imagination — are an antithesis of the idea of our faith as a rigid ideology. What makes La Civiltà Cattolica so distinctive is that it holds together a series of polarities that are normally in contradiction, or at least in tension. This is, of course, very Jesuit: Jesuits are contemplatives in the world, discerning God’s will in all things, but at the same time obedient, under vows. 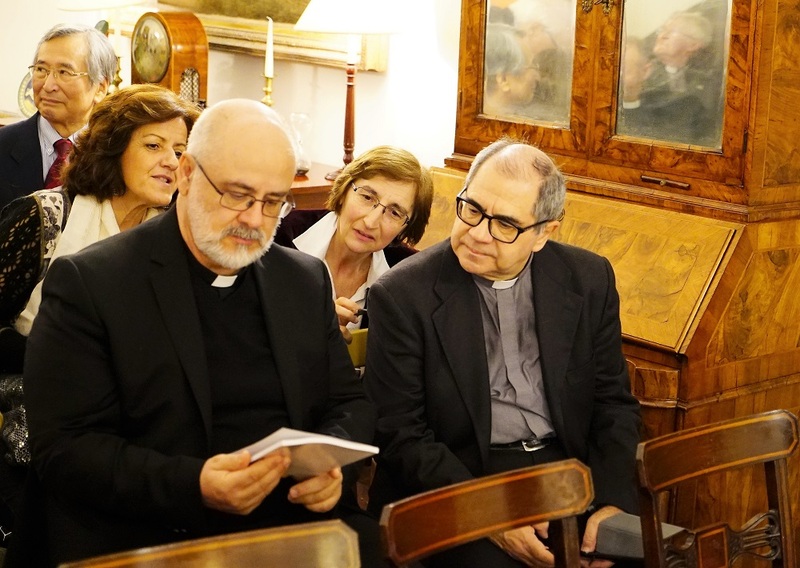 Perhaps the biggest paradox of all is that they’re missionaries sent to the remotest frontiers, with the people, among the poor; yet the community of 21 Jesuits who write La Civiltà Cattolica live in a beautiful house in central Rome, and spent a lot of time at their desks. They collaborate in the writing and editing and see themselves as a collegium — a college of writers, no less. It is a beautiful, and original, concept which was there at their nineteenth-century foundation, and seems even more wonderful now. The first task of the missionary is to understand the culture and thinking of a people, and to seek out the seeds of the Gospel in it. Evangelizing a culture is not to conquer it, or dazzle it, or overwhelm it, but to accompany and heal it. It is fascinating to read that the idea of the journal as a medicine appears very early on its history — and is especially true now, in this era when Francis has defined the Church as a field hospital. Francis has suggested the frontier as a metaphor for the journal. In his rich metaphorical universe, the frontier is always contrasted with the laboratory. The laboratory is ordered, shiny, technological, a place where theories are tested in a kind of separate reality, or parallel universe. A frontier, on the other hand, is a place of human experience — “God’s construction site”, as the pope puts it — where abstractions don’t quite fit realities, and where new horizons always beckon us forward. Francis has told La Civiltà Cattolica never to domesticate the frontier, never to reduce it to a laboratory. It’s a place of God, and the Holy Spirit; it’s bigger than our ideas. 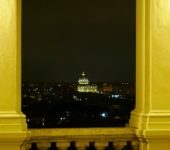 There are many other things that make La Civiltà Cattolica unique, and which give it a very special place in Catholic journalism. It is written only by Jesuits, which gives it, paradoxically, great editorial freedom. It is faithful to the pope, tied to the Holy See by statute, yet free to discern and probe. 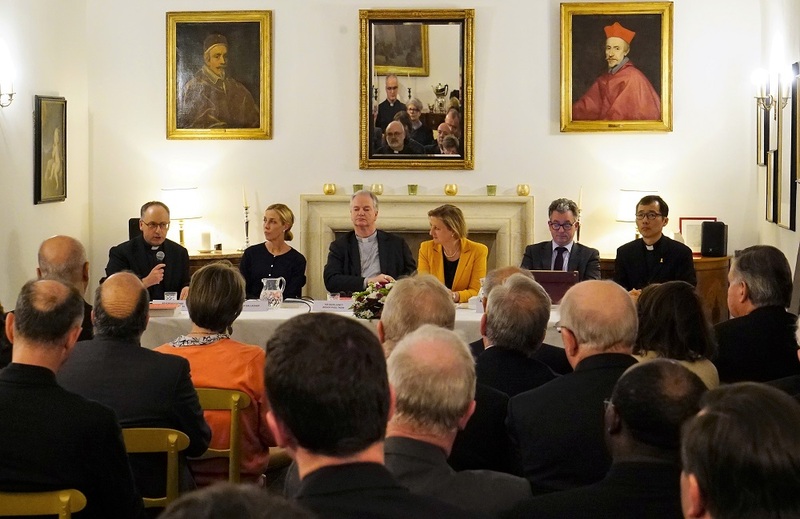 It is ‘vetted’ by the Secretariat of State, yet in practice, this broadens its outlook because it has to speak to the world while at the same time understanding the thinking of the Vatican and being aware of its priorities. Finally, it falls somewhere between an academic journal and a newspaper. It looks like an journal, and can seem a little forbidding; yet it appears every two weeks, with articles that are attentive to the news, and which are written in the accessible, everyday language of the educated common man and woman. To subscribe to La Civiltà Cattolica is like having your own group of very bright, plugged-in Jesuits on hand to brief you. Its primary task is to build bridges with contemporary culture through discernment, but sadly there are plenty of people in our Church who are appalled by this idea. They think the Church is a fortress to be defended, and regard the freedom and breadth of La Civiltà Cattolica as a kind of sell-out. 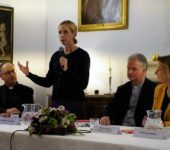 There was recently, for example, a very fine recent piece on women deacons which also touched on the priesthood; it was immediately criticised for questioning church teaching, whereas what it was doing was pointing out that the argument from tradition has little appeal to a society in which the recognition of women’s equal dignity has gone hand in hand with opening up social and work roles. The article wasn’t disagreeing with church teaching; it was inviting the Church to think more deeply about its teaching in the light of present culture. This seems to me a key point. 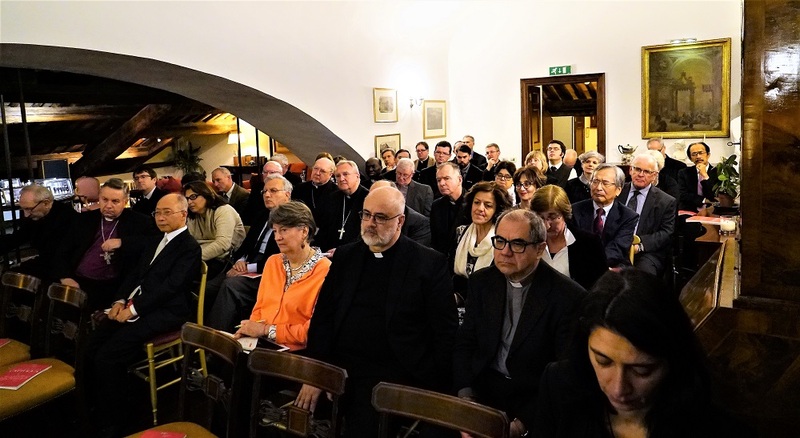 La Civiltà Cattolica does not dilute Catholic teaching to make to more accessible to contemporary society; it interprets contemporary society to make Catholic teaching more accessible. This is the service La Civiltà Cattolica performs for the Church. Precisely because it is faithful to the magisterium, but sees the magisterium as an organic, living thing, in which eternal church teaching is in dialogue with evolving culture, and must be endlessly re-adapted, it offers Catholicism an intellectual breathing space. 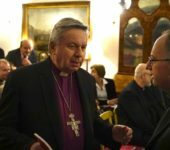 In the editorial of its anniversary edition, the editor of La Civiltà Cattolica, Fr Antonio Spadaro, writes that the great temptation facing the Church right now is to retreat into a kind of identity politics, the ecclesial equivalent of the nativism that we are seeing break out across the western world in response to the challenges of migration and Islamic terrorism. La Civiltà Cattolica, the Catholic city, would become a walled fortress, trapped inside itself, and condemned to corrode. 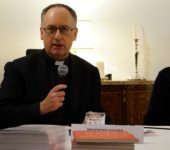 “The temptation of identitarianism,” says Fr Spadaro, “is the necrosis of Christianity”. La Civiltà Cattolica has a genius for navigating tensions: the eternal and the temporal; obedience to the magisterium and freedom of discernment; being of the Holy See, yet with a universal mission. 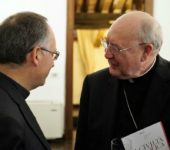 It is Italian, and cares about Italy, yet has mission to the world, and especially now, when the journal and especially its editor have become indispensable sources for interpreting and understanding the Francis pontificate. That mission of course becomes much more universal with the arrival of the new foreign-language editions. I have subscribed for some time to the electronic edition, but confess that I don’t always have time to read it. Now I have less of an excuse: it’s once a month, and in English. I have a group of clever Jesuits on hand to brief me in my own language. That makes La Civiltà Cattolica even more indispensable. 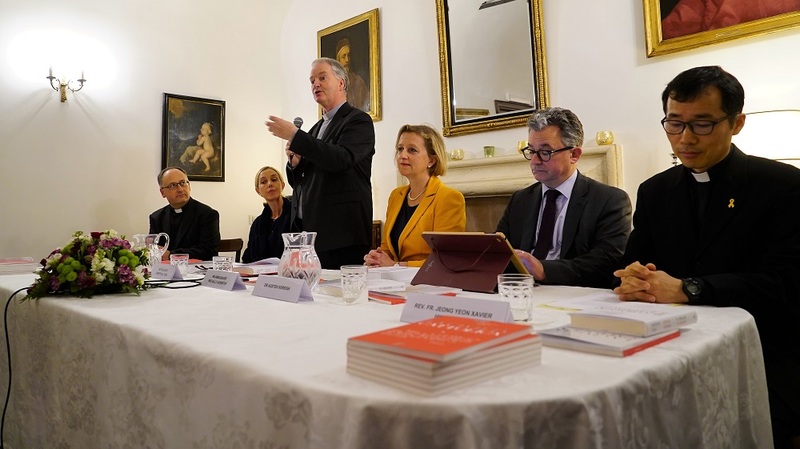 I am grateful for your invitation to reflect on the significance of the publication of the English Edition of La Civiltà Cattolica, the journal with the longest history in Italy. First published in 1850, this journal has been sharing its own reflections not only with the Catholic world, but also with everyone seriously involved in the world and desirous of trustworthy sources of information to inspire thought and to allow personal judgment to mature. 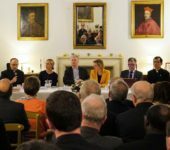 Last February 9th, Pope Francis met with Jesuits to celebrate the 4000th edition of La Civiltà Cattolica and the publication of the new editions in English, French, Spanish and Korean. With the blessing of the Pope Francis, La Civiltà Cattolica in the bark of Peter is charting new routes through multilingual oceans. La Civiltà Cattolica has been making its journey while maintaining a unique bond with the Pope and the Apostolic See. This uniqueness originates from the fact that all the writers of the journal are Jesuits who promise obedience to the Pope regarding mission. At the celebration of the 4000th edition, the Pope called all Jesuits to carry out their mission on the frontiers in a Spirit of dialogue and discernment and to build bridges across those frontiers. With the new language editions broadening their horizons, Jesuit writers of La Civiltà Cattolica are called to enter into dialogue with various peoples of the globe by sharing an intellectual experience illuminated by a Christian faith that is profoundly in touch with the cultural, social, economic, and political life of our times. 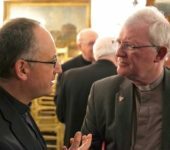 Pope Francis asked the Jesuits not simply to defend Catholic ideas but to witness to Christ in the world with a restless, open-ended and imaginative spirit. The encouraging words of the Pope resonate well with the conviction of Jesuit writers who believe that La Civiltà Cattolica, as a cultural journal, cannot be neutral. They seek to make it a bridge between different cultures, but they do not do so in a neutrality born of fear of conflict, but rather with a moral and critical conscience that illuminates the true and genuine intentions of various peoples for peace and justice. When Pope Francis visited Korea in 2014, he wore the yellow ribbon that commemorated the victims of the tragic sinking of the Sewol ferry. 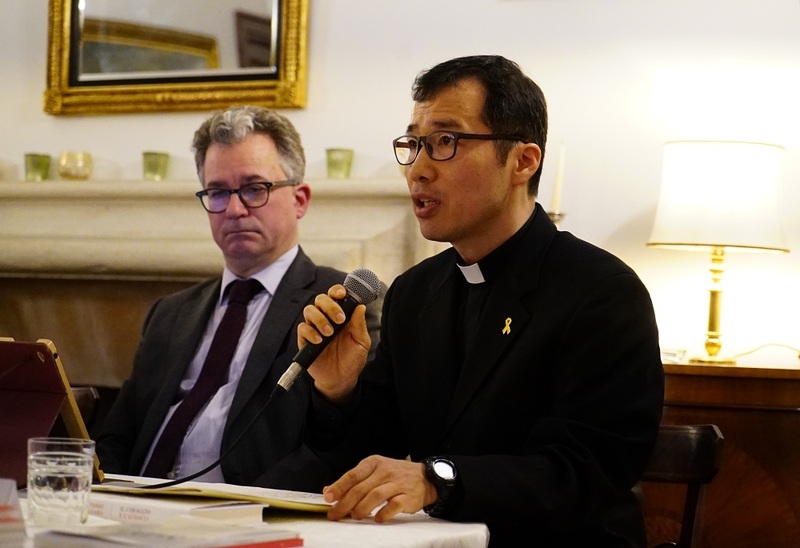 Reporters aboard his flight back to the Vatican asked the Pope about the risk that his concerns for the victims would be used to further political agendas in South Korea. The Pope replied by telling them, “Someone came up to me to suggest that I take off the yellow ribbon to maintain neutrality. 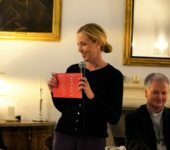 But I told the person that I couldn’t be neutral in front of human suffering.” Like the Pope, Jesuit writers cannot be neutral between truth and hypocrisy or between victims and predators. This journal should be a herald of good news for the people of God who are suffering violence and injustice in the margins and build a bridge between the center and the margins upon which ideas and movements for peace and justice can freely cross. In the audience granted to the Jesuits of the journal three months after his election in 2013, Pope Francis said, “Today too what Paul VI said about the Society of Jesus, taken up by Benedict XVI, applies in a particular way to Jesuits: ‘Wherever in the Church, even in the most difficult and extreme fields, at the crossroads of ideologies, in the social trenches, there has been and there is confrontation between the burning exigencies of man and the perennial message of the Gospel, here also there have been, and there are, Jesuits.’ Please be pioneers empowered by God.” Jesuit writers have faithfully responded to the call to become pioneers in today’s world where new digital media and social networks have shaped new cultural horizons. 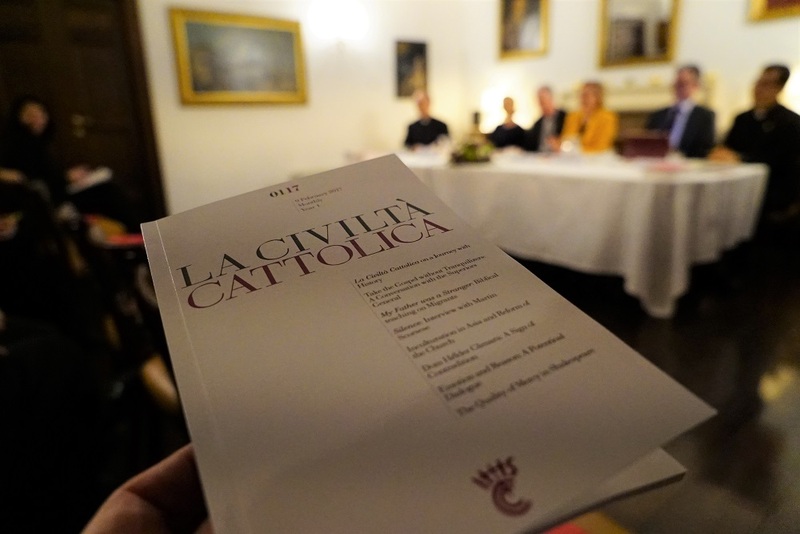 Readers will not wait for the arrival of paper copy of La Civiltà Cattolica to get the latest news, but in-depth reflections. Thus, this journal needs to share authentically its fruits of intellectual deliberation and spiritual discernment. An in-depth reflection and authentic sharing can be realized by the collaboration of Jesuit writers. La Civiltà Cattolica is the expression of the work of a team, and therefore of shared research and toil: Every article before its publication – whether it is written by members of the editorial board or comes from elsewhere – is subject to the judgment of the others and, in the end, is the fruit of an internal dialogue. By collaboration and dialogue among the writers, La Civiltà Cattolica tries to answer to the call of the Pope to the frontiers. This attachment to being pioneers necessarily implies having an attentive ear to the needs of people today, to the different forms of expression and life in society, all with great respect and care. 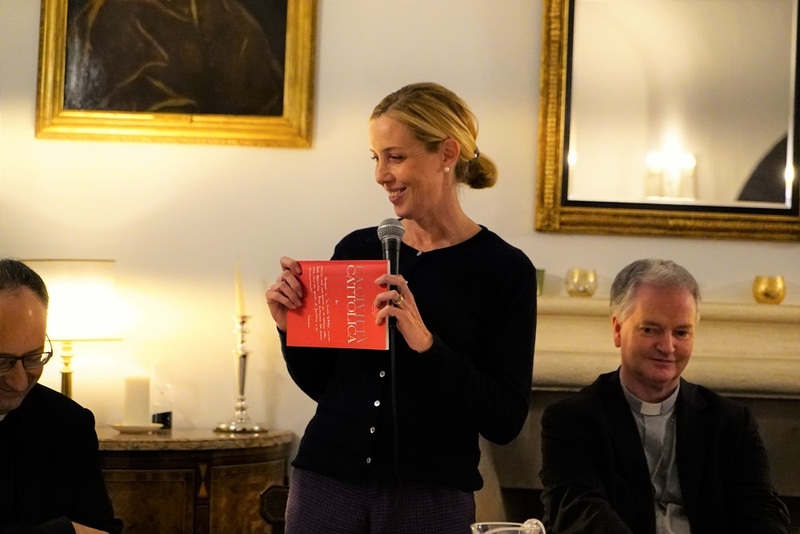 Fifty years after the opening of the Second Vatican Council, the writers, inspired by the spirit of the council, feel it is a permanent duty of the Church to examine the signs of the times and to interpret them in the light of the Gospel. 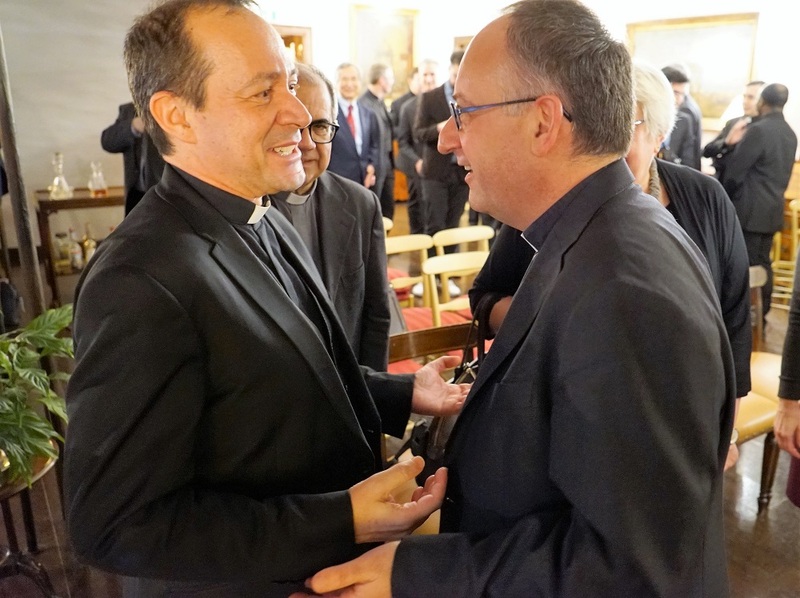 In the first issue of the English edition, Reverend Father Antonio Spadaro, the editor of La Civiltà Cattolica, recognized that today, openness to an international dimension is much more accentuated than in the past. According to his reading of the times, “a journal of culture is less identified with a particular nationality. Today, to comprehend reality, a broad and pluralistic perspective is necessary. For some years now, the writers of the journal have come from various nations and continents. 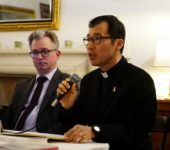 Thus, La Civiltà Cattolica has a more international profile. 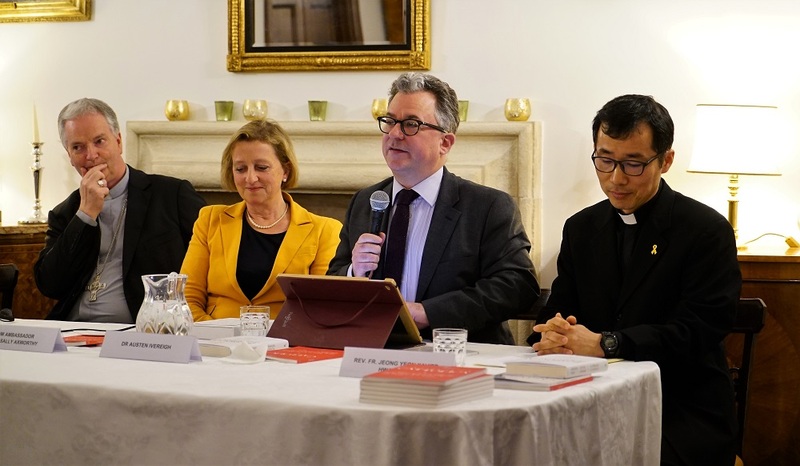 We feel the need to offer the journal to a greater number of readers in different languages and cultures.” Thus, he launched an English edition of La Civiltà Cattolica. English is the most international language and therefore it represents well the slant that the journal wishes to have. English is not only commonly used in quite a few countries in Europe, North America, Africa, and Oceania but is also the common language of intellectuals in Asia. 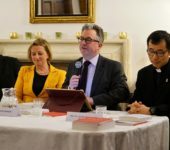 For example, Jesuits in Asia, which consists of countries with various languages, have adopted English as the common language for all their international meetings and conferences, although almost none of them are native English speakers. Jesuits build bridges across the frontiers in Asia with the English language. Four years after the first issue of La Civiltà Cattolica in 1850, the Jesuits in Italy needed special help from England in order to cope with the increasing number of the journal copies. They acquired a “high-speed printing machine” from England in order to replace the hand-operated press. 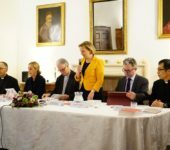 Today, La Civiltà Cattolica does not need an English machine but the English language in order to dialogue with the people in various cultures and to reach out to frontiers. Thus, the English edition opens a new era together with the French, Spanish, and Korean editions. These multilingual endeavors of La Civiltà Cattolica will truly realize Pope Francis’ description of the history of the journal as a boat navigating the open seas. Today the boat of La Civiltà Cattolica with a multilingual rudder is sailing beyond the Mediterranean towards the Pacific, the Indian, and the Atlantic Oceans. 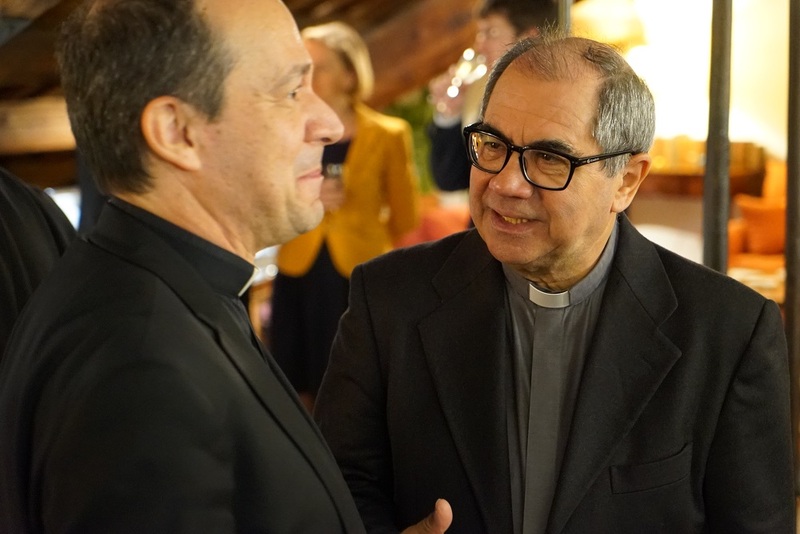 It is sailing not simply to spread the ideas of the Vatican to the frontiers, but to bring back the living presence of the Holy Spirit from the margins which makes the heart of La Civiltà Cattolica ever vibrant, warm and fresh.